Surrounded by colourful houses and filled with the laughter of kids at the spray park or playground, MacLean reflects the sense of the surrounding community. The sweetgum trees lining the park put on a beautiful display in autumn. 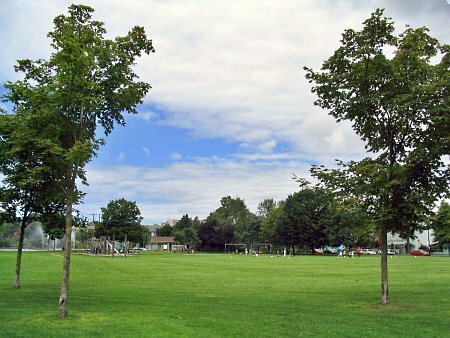 This park replaced the original MacLean Park which was located three blocks further west than its present locale at Georgia and Keefer Streets. 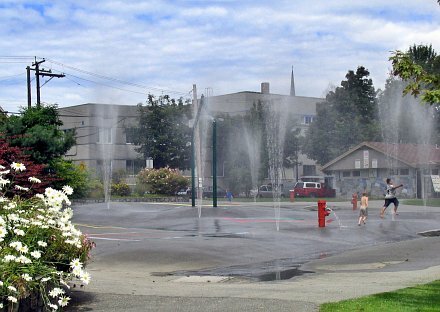 It was named after the first Mayor of Vancouver, M. A. MacLean and was the first park to have a supervised playground in 1911.